It’s not even a week left for the Eid Holidays to begin. The half term in most Dubai schools coincide with Eid this time and we are suddenly gifted with a week promising to act as a breather. Back from the summer holidays (or summer hibernation, as I like to describe it) with the reopening of schools in the first week of September, many Dubai residents have no plans (or the budget) to plan a holiday. If you are staying back in Dubai during the oncoming Eid Break, do soak in the beautiful city like a tourist and here’s my Connoisseur’s guide (humility!) for that – Things to do in Dubai. This is the first part of the series, where I chalk out some out-of-Dubai trips that don’t require any overnight stay. Just in case you have the last minute feeling of I wish I could go somewhere. Not all of them require a hole in your pocket! 400 kms and almost a 4-hours drive away from Dubai, then a boat transfer from Jebel Dhanna Jetty (below) to about 7 kms off the western coastline of the emirates of Abu Dhabi and finally another 20 minutes bus ride – you will reach Desert Island Resorts & Spa by Anantara. Situated on Sir Ban Yas island, a protected natural reserve – this trip would psychologically take you to a holiday far, far away. If you get out of Dubai by 8 am in the morning, you’ll be reaching Jebel Dhanna jetty by noon. Spend around 5 hours in the island – a jeep safari into the Arabian Wildlife Park followed by a lunch at the resort, you can leave the island by 5pm and you are back to Dubai by maximum 9 pm. The island was originally home to Arabia’s largest wildlife reserve, much of which was getting extinct over time. A reserve was established in 1971 by the late ruler and founder of the UAE, HH Sheikh Zayed Bin Sultan Al Nahyan, spanning over 87 sq km to carry on planned conservation projects on this island. The 4,200 hectare park is now surrounded by a 32km fence and is home to several thousand free-roaming animals that are indigenous to the Arabian Peninsula, including the endangered Arabian Oryx, Sand Gazelle, Arabian Gazelle, Indian bucks as well as predators and scavengers like the Cheetah and Hyena. You are surrounded by several million trees and plants. A safari here means that the experience can be really overwhelming – because it is a Conservation project, you are surrounded by thousands of Arabian Oryx gazing at you when the jeep stops (above). Cost: Dhs 460/person (safari and lunch). If you are willing to up your budget you could also fly direct from Al Bateen Airport in Abu Dhabi or from Dubai too. All bookings are subject to availability. More details here. 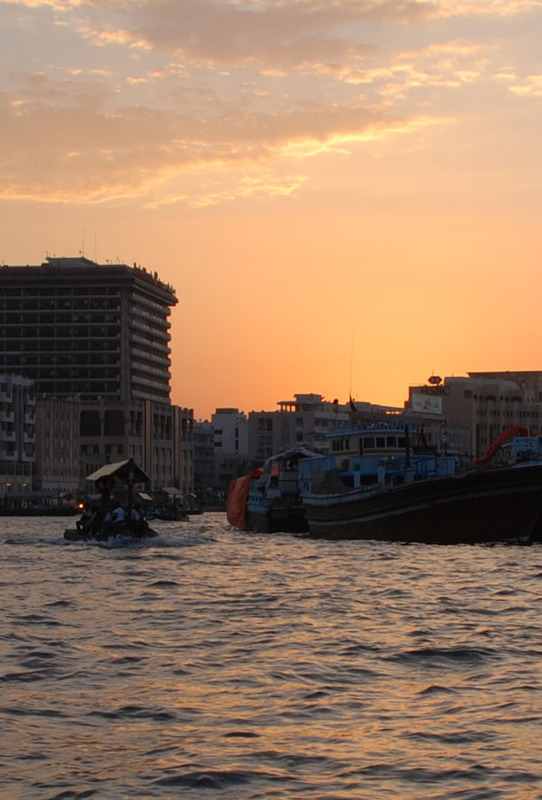 Wisdom Note: The water taxi plies every 1 hour from Jebel Dhanna jetty, so in order to avoid missing a water taxi, make sure you back calculate the time of departure from Dubai. We did miss our taxi, but then we were not in a hurry to come back the same day. If you plan to drive, please re-fuel your car and carry enough snacks for the kids to last 4 hours – there’s practically no stocking up option. 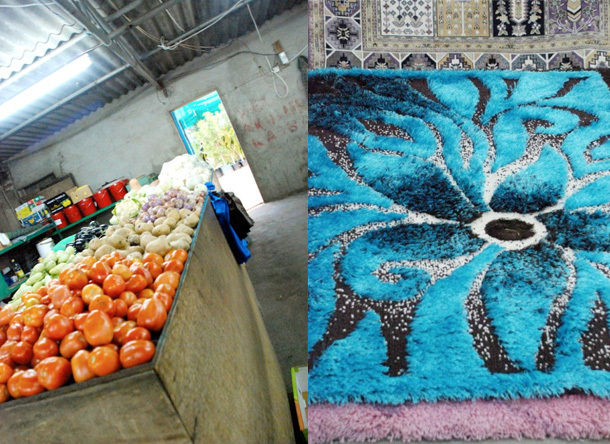 One of our favourite drives away from the glitzy sky-scraper donned urban landscape of Dubai is the Friday Market. It takes about an hour to drive to this market and this is a real charming market – looks real unlike the polished fruits and vegetables showcased in the air-conditioned supermarkets in the city. If there is some countryside that one can refer to in UAE, well it would probably be this – though the rocky terrain may not match up to the visual expectation of a verdant green European countryside or the rural landscape that I’ve grown up seeing in India. However, even barrenness has it’s own charm with a ruggedness (below) that is so beautiful. This is clearly evident once you hit out on the highways directing you to Dhaid. But before stopping at the Friday Market, my suggestion here would be to drive down the East Coast to the Khorfokan beach (above). I’m not suggesting any hotels. Freshen up, have a gorgeous lunch at a reasonable bill at the Golden Fork restaurant, enjoy playing in the beach and on the swings with the kids and head back to the Friday Market. Cost: Depends upon you and how much you can resist or give into your own temptation. After loading your boot with fruits and vegetables and plants for your balcony, if you have fallen in love with a carpet, then it’s your choice. Wisdom note: Dramatically perched on top of each other, the colourful fruits cry out a loud ‘Buy Me’! So should you? Well, of-course. But only after you have haggled a bit and bargained further – for, most prices that are thrown at your face are probably at enormous marked up rates. Haggling for prices, suspecting whether they are genuinely sourced from a local farm and then ending up meeting and talking to the farmer himself – I can swap my Dubai life any day for all these. Okay, let me re-phrase this – I can swap my Dubai life sometime for all these. Over the weekends at least. Please feel free to show your doubt over the freshness and the quality of the produce, getting a small slice of fruit to taste in return! The experience here is so different, unlike any swanky, glitzy shopping mall – that, it’s worth all of it. What better time to visit the Grand Mosque but now. More than 40,000 people gather here for worship during the Eid. This is also one of the few mosques where non-Muslims are permitted to enter. Inspired by Arab, Mughal and Moorish mosque architecture, the mosque is absolutely grand. Plan your visit around the sunset – arriving well before sunset, first soak in the beauty of the architecture and the intricacies of the design by daylight and then watch the sun go down slowly, the golden rays fleeting in through the pillars. Please wait for the mosque to be lit up by all the lights completely – the courtyard feels like a page out of the Arabian Nights (above). Apart from being the largest mosque in the UAE and the eighth largest mosque in the world, the thoughts that have gone into the designing also reflects the multicultural living that the UAE reflects – the design and construction ‘unites the world’, using artisans and materials from many countries including Italy, Germany, Morocco, Pakistan, India, Turkey, Malaysia, Iran, China, United Kingdom, New Zealand, Greece and more. The main prayer hall (further below) accommodates over 7,000 worshipers and the carpet that dons the floor is the largest in the world and was built on the site and took almost two years to complete. More staggering statistics here (like the Dhs 2 billion that was spent on the construction or the millions of Swarovsky crystals that make up the Chandeliers or the 2,268,000,000 knots that weaved the carpet or that the unique lightning system reflects the phases of the moon – beautiful bluish gray clouds are projected in lights onto the external walls and get brighter and darker according to the phase of the moon… and many more!). Wisdom Note: When you are driving from Dubai, don’t miss the exit at Al Maqtaa bridge. You drive up to the signal once the mosque is in view towards your left, take the U-turn back. The prayer hall closes down during the Prayer times, hence do check up on the timings (02 441 6444). Also, please be sensitive to the dress code. Abayas (the black robe that are worn in the Muslim world) are available for ladies but if any clothing that covers your knees and arms will suffice. Please carry a scarf to cover your head. is celebrating the #NationalTravelDay today – through inspirational talks, film screenings, massive exclusive discounts and exciting giveaways, by organising two different events at two different venues. 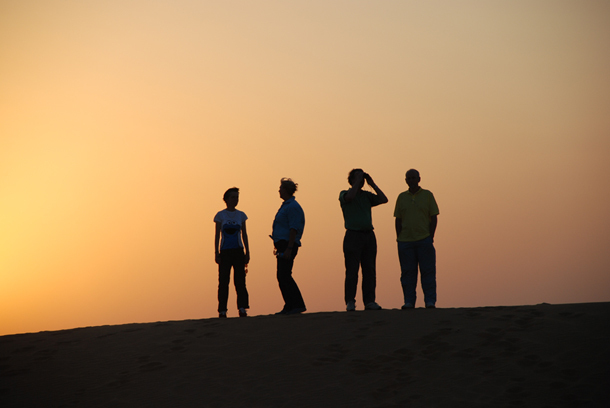 Either, you may interact with some of the region’s most experienced travellers and photographers as they share their tips and advice, including the Peeta Planet team – the Emirati brothers who have just come back from their first TV series that took them all over the world. Or, you can join me at Wafi’s Rooftop Terrace for an evening of exclusive, never seen before, documentaries that bring our amazing world to life. Will I be seeing you there? PS 1: If the last minute travel bug bites you and you want to get out of the country, you’ll have to look for countries which allow visas on arrival (a few travel posts of mine here… Srilanka, Thailand, Nepal). Footsteps of a wanderer, an UAE travel blog lists the best one week breaks for the Eid holidays, out of Dubai. The Hedonista also has a fascinating list of travel destinations which are not too far away. However, none of us can guarantee a last minute reservation! PS 2: If you are still stuck in Dubai, just enjoy what Dubai has to offer (Not Shopping Discounts please!). Here’s my Connoisseur’s guide on Things to do in Dubai. Or, why not discover the old Dubai by signing up for an Arabian Pilgrimage Food Tour With Frying Pan Adventures? For guides to eating, here’s a Connoisseur’s Guide To Eating Out In Dubai and the 7 Tastiest Fast Feasts Of Dubai. Disclaimer: Please note that this is not a sponsored post and all the opinions and views stated here are my own and are independent. The subject, story, opinions and views stated here are my own and are independent. While you enjoy reading the posts with lot of visuals, please do not use any material from these posts. Do join me on my daily food and travel journey on Instagram, Facebook and Twitter. • The Diary Of A Dubai Resident… As Home Turns Into An Inn! Thanks… yours is an updated one and talks about a lots of places that I would love to try out. You can stroll along the Dubai Creek – it is still one of the most beautiful parts of Dubai, if you are really avoiding a long drive. Good wishes to your daughter on your pregnancy.